When Alan asked me to start thinking about stuff I wanted to play on the air (technically, a podcast made possible by the Interweb’s endless technological marvels), it didn’t take me long to create (and Alan to configure) a playlist that could have taken us through two, three, or even four shows easily. 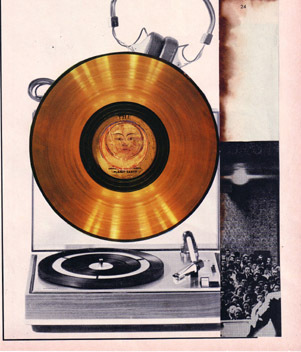 Many of my musical choices were long-loved and instantly leapt to mind, rising from the grooves of three or four decades’ worth of cherished records that reside in “RPM”‘s vast, vaulted echo chamber. Other choice selections filtered through the blur and haze of the untold hundreds of shows I’ve attended, covered, reviewed, and written about over the years, from the famous to the famously obscure. All of these songs have embedded themselves in my musical consciousness in crucial ways (and I’ll tell you why in our show). 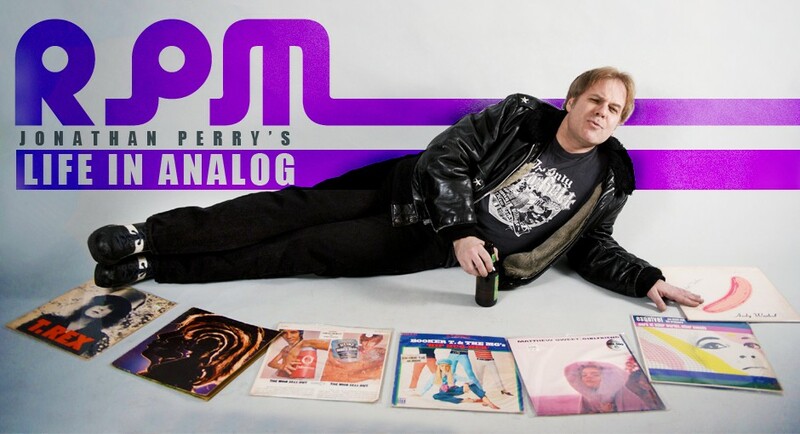 What I realized later, in going over my program list, is that most of the artists and songs I picked have found their way into this “RPM: Life In Analog” blog in one way or another — or will soon. I was jazzed to also realize that I’ve managed to glean a goodly number of personal anecdotes and first-hand memories from twenty years of talking to these bands and singers and guitarists and drummers (and yes, even bass players) about the music they’ve made that I love and live by. As a music nut and, er, professional interviewer and critic (which is partly just a fancy way of saying ‘music nut’), I feet supremely fortunate. More than a few names and tunes herein you’ll no doubt recognize. (Of course, what “RPM” set list would be complete without an effective dose of Beatles, Stones, Hendrix, and Who?). But hopefully, a good-sized chunk of the other stuff I’ve plucked from my listening archives you won’t necessarily know, but will like or, hopefully, possibly even love. As the hands on the clock on the wall sped through its circuit, I tried to cherry-pick a few anecdotes, memories, and salient points about the music that makes this blog (not to mention me) breathe, live, and thrive. I felt a little sorry for Alan, though, as restraint — especially when it comes to music — has never been a strong suit: Asking me to compile a list of songs I love is a bit like asking Francis Ford Coppola to make a tidy little film about Vietnam. Needless to say, I had a blast and I’m happy that I was able to provide Alan’s listeners with a few surprises, because they and he obviously listen to a lot of music. And it’s the kind of radio programming that FM used to be back in its more experimental, free-form days before you were born (and me, barely). You know, before soulless colonizers like Styx and Asia transformed a wonderfully diverse world into a hermetically sealed universe of robo-programmed corporate claptrap. As a tonic for those endlessly looped Bad Company/Bon Jovi “double shot” weekends, tune into “Voices Of Time” every Wednesday between 3 and 5:30 p.m (http://bostonfreeradio.com ). I know, I know. It’s right smack in the middle of a weekday workweek. But if you don’t have ear buds or a refreshingly remote cubicle a satellite’s distance away from your “Office Space” boss Bill Lumbergh, just tell him that you were out with a client for a long, and most important, productive lunch at Chi-Chi’s or Chilis or wherever the hell it is Jennifer Aniston’s required to wear a miserable amount of “flare.” Or right now, at this very moment, you can download a growing archive of shows you missed from the relative safety of your home. 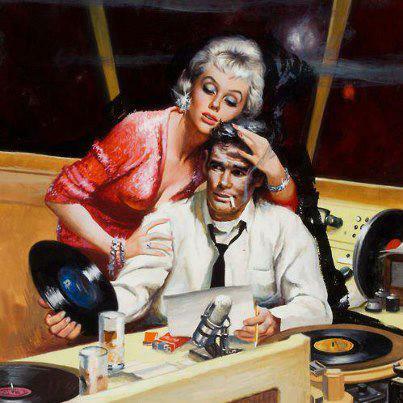 So pour yourself a cold one, fire up the grill (don’t forget to disconnect the smoke alarms in the apartment first), click on the link below, and let “RPM”‘s Yours Truly DJ the good times. It’ll be a fun play date, kids, I promise. 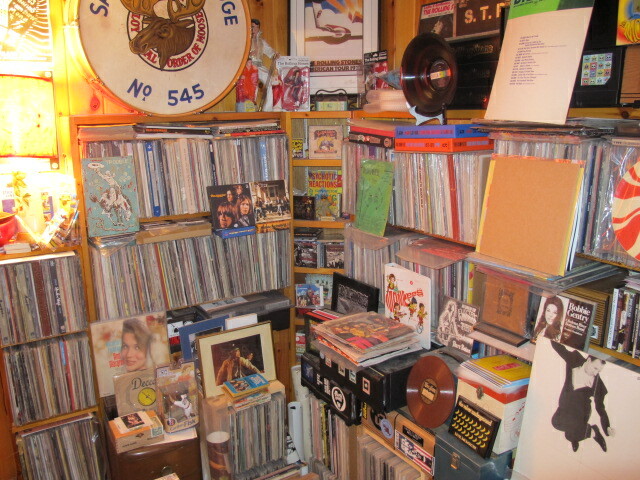 A corner of the “RPM” offices, where some of this music resides.